Handmade Indonesian beads, beading supplies, resin beads, jewelry making supplies. 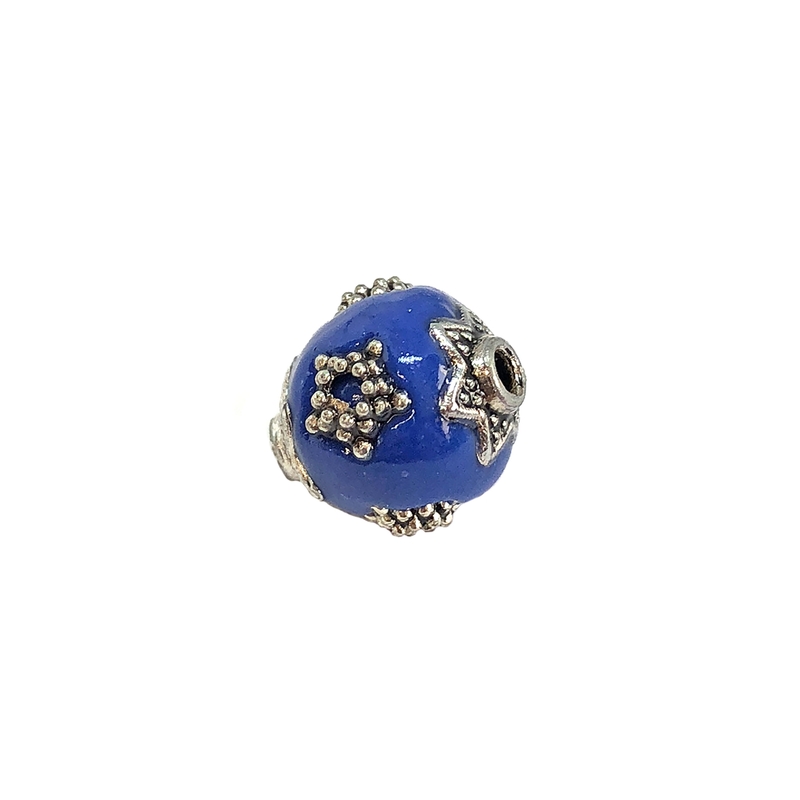 Pretty cobalt with silver plate star accenting. Measures 11x11mm. Sold by the piece.